New wastegates are a direct fit upgrade to all 4th-generation Turbosmart wastegates and feature our unique collar-locking system, variable actuator cap and base, classic 2 bolt flanges (71mm spacing), liquid-cooling, 1/8″ NPT ports, and are provided with a range of springs. 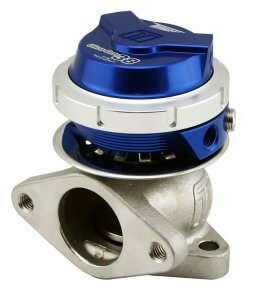 The 5th series wastegate range has been designed for maximum user-adjustability, without compromising performance. We designed our new unit to allow actuators to be interchangeable across the range. So, if you need a large wastegate in a tight space you can run a smaller actuator on the larger body. Additionally, if you decide to upgrade your new wastegate to a Motorsport or compressed gas-only actuator you can with an upgrade kit. 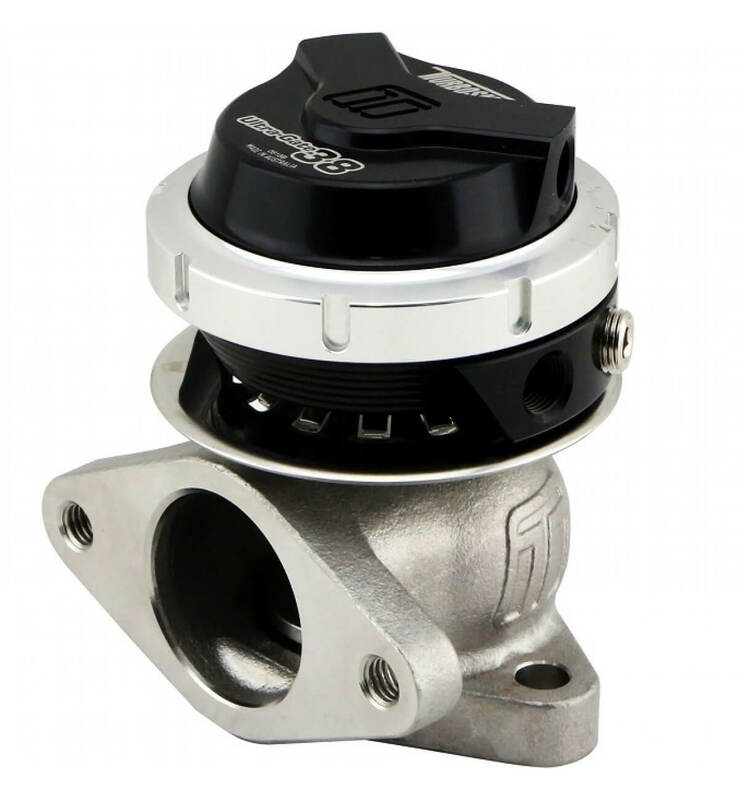 The unique variable adjustment design allows the wastegate actuator base to be oriented independently from the weld flanges. The cap is also completely independent and indexable in 12 different positions compared to the actuator base and body. 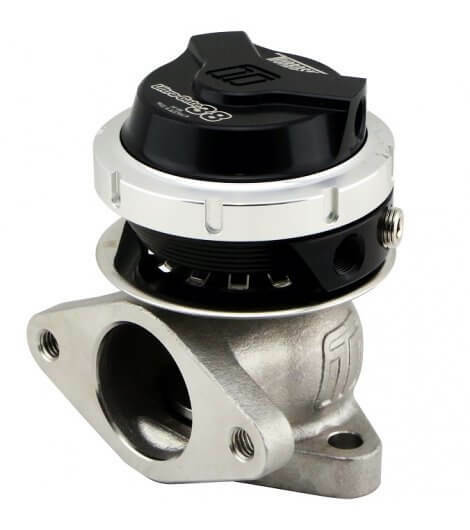 This allows the wastegate to be fitted in confined positions without compromising packaging for fittings or aligning the cap. Due to the modular construction, the new range is also upgradeable and completely serviceable, as all components can be removed or upgraded. Components have been tested for over one million cycles so reliability will be rock-solid. For fine-tuning, boost performance, a selection of springs will be supplied with each wastegate. 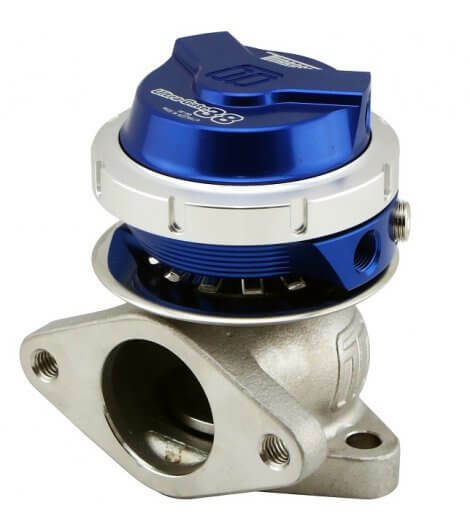 All wastegates feature 1/8″ NPT ports for maximum response and flow while maintaining a high level of compatibility for fittings. A diaphragm design that offers linear travel; regardless of spring, pressure and valve positioning, while improving response.